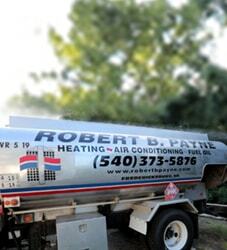 Heating & Air FAQ | Robert B. Payne, Inc.
HVAC repair and maintenance is often confusing for homeowners. We have compiled a list of frequently asked questions below to help you understand your HVAC system and how to address any issues you may have. Have any other questions? Give us a call or Submit the form below and we will be glad to help. What are Average Prices for Heating and Cooling Systems? When you start looking for a new HVAC system, meet with one of our trained technicians to determine the best possible unit for your home and your budget. Request an estimate for a new unit by contacting us through our online form, by phone or by email to set up an appointment. How Can I Fix a Broken Air Conditioner? 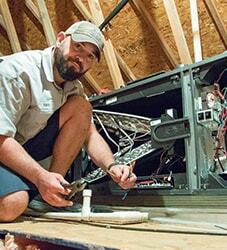 While homeowners can certainly do some AC home maintenance on their own, we do not recommend fixing a unit without the aid of a professional. Fixing broken AC units safely and efficiently can require extensive skill and experience. Our highly trained technicians know how to inspect, diagnose and repair a wide range of air conditioners from many major manufacturers. Some manufacturer warranties may become void when someone other than a technician performs repairs. Before you begin any repairs, review the warranty information for your unit and contact our office if you have any questions. Temperatures a few feet below the earth’s surface remain constant throughout the year. Geothermal heating and cooling uses those sub-surface temperatures to control the climate of a home or business. A geothermal HVAC system typically consists of a system of pipes that are buried 4 to 6 feet below the surface, a pump and an indoor control unit. Fluid, usually water, circulates through the pipes. In the winter, that fluid absorbs heat from the ground to heat the building. In the summer, the water absorbs heat from the building and cools as it circulates underground, resulting in lower indoor temperatures. Contact us for a free installation estimate on a geothermal system today. What is the Most Efficient Heating and Cooling System? The cost and efficiency of your heating and cooling system depends on the location and air tightness of your home, what type of system you have, and how well your HVAC units fit your unique space and needs. A small home might require only one or two ductless mini splits, but a large home might require a complete HVAC system. While product efficiency varies widely, units with high Energy Star ratings are typically more efficient than other systems. Schedule an appointment with our professionals to determine the most energy- and cost-effective system for your needs. What Should I Do if my Air Conditioner is Leaking? Whenever you notice a leak, contact one of our qualified AC repair technicians to diagnose the problem and perform the necessary repairs. Our technicians can also provide proper AC maintenance services and tips to help you avoid such problems. How do I Replace a Home Thermostat? If you want to replace a home thermostat without the help of an electrician or HVAC technician, you need a working understanding of electrical systems. To avoid harming yourself, those around you and your thermostat, contact an AC repair technician to perform the job. If you have the knowledge and experience necessary to replace a thermostat on your own, complete the following steps to ensure that the installation goes safely and smoothly. Read all installation instructions provided with the thermostat. Shut off the power at the breaker box. Remove the old thermostat, making sure to label the wires. Install the replacement wall plate. Slide the thermostat onto the wall plate. Use the breaker box to turn the power back on. How do I Replace a Water Heater? First, our technicians confirm that water heater repair isn’t a better option than replacement. If the unit needs to be replaced, they shut off the gas valve and look for leaks. They then turn off the pilot light, disconnect the exhaust duct, drain the old heater and disconnecting the gas line and water lines, making the unit easy to remove. To install the new unit, the technicians connect new gas and water lines. After filling the tank, they open the gas valve and ignite the pilot light, completing the installation process. What Are Your Top Five Indoor Air Quality Facts? The EPA views indoor air quality as one of the most dangerous public health risks. Indoor air quality can be between two and five times worse than outdoor air quality. Common pollutants found indoors include pollen, mold, carbon monoxide, dust mites, radon, carbon dioxide and chemical fumes. Such pollutants can contribute to respiratory tract infections, lung disease, asthma and lung cancer. Poor indoor air quality impacts individuals and homes across the world, from dense urban areas to rural towns. To prevent poor indoor air quality, remove sources of pollutants, clean the air, change air filters and increase ventilation. Use a mop and a vacuum with a specialized filter to help eliminate the dusty concentrations of allergens, chemicals and other toxins that can accumulate in your home. Replace your HVAC’s air filter regularly. Place a floor mat at every entrance to your home to reduce the number of pollutants carried in from the outdoors. Keep humidity levels between 30 and 50 percent to reduce the amount of dust mites and mold in your home. Using a dehumidifier can regulate indoor air quality and help control allergens. How Often Should I Replace my Home Air Filter? What kind of filter do you have? Are there any pets in your home? How is your home’s indoor air quality? Is there any construction or other source of air pollution outside your home? If you and your family are in good health, follow the manufacturer’s guidelines on a 1- to 3-inch filter, which typically advise replacement every 30 to 90 days. If you have allergies or pets, however, change your filters every 30-45 days, or use a more highly rated product. 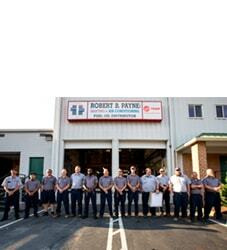 Contact us online to schedule service or request a free estimate, or feel free to call (540) 373-5876.